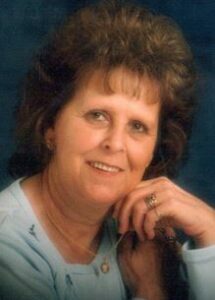 AUBURN - Mildred “Millie” Alma Masingill, 76, became her family’s guardian angel on Jan. 30, 2019. AUBURN – Mildred “Millie” Alma Masingill, 76, became her family’s guardian angel on Jan. 30, 2019. She passed away peacefully at her home in Auburn surrounded by her family. Millie was born on July 16, 1942, to Charles and Helen Bosworth Blake in Winchendon, Mass. She was the loving, proud mom of 11 children. She was known for bringing everyone together with her delicious meals, especially her world famous spaghetti and meatballs. She was the glue that held the family together. If there was a gathering and she was there, everyone made sure to be there, probably to get their hugs and kisses from the most incredible woman they knew. There was always a story or a joke that always had us laughing. She loved to play bingo, especially with her daughters and her sister, June. She will be sadly missed by all of those who loved her. She is survived by her brothers, Carl “Buck” Blake and wife, Susan, and Dennis Blake and wife, Sue, as well as her sisters, June Gonzales and Ella Lee; her children, Donald “Pete” Mundell Jr. and wife, Mickey, Gloria Kilton and husband, Jimmy, Millie Moores and husband, Wayne, Dianne Dennison and husband, Shawn, Donna Barrett and husband, David, Rodger Hart and wife, Tarrah, Frank Hart and wife, Cheryl, Eunice Hart and fiancé, Jess Burnham, and Amy Hart; her 23 grandchildren; and 35 great-grandchildren; as well as many nieces, nephews and cousins. She is predeceased by her parents; her brothers, Bob Blake, Roger Blake, and Chuck Blake, her sister, Cindy Mundell; her first husband, Donald Mundell; her son, Wayne Mundell, her daughter, Patricia “Patty” Harmon; her grandson, Rodger “Little Rodgie” Hart, her granddaughter, Danielle Moores; and her great-grandson, Waylon Moores. A celebration of Millie’s life will be held at the VFW (588 Minot Ave) in Auburn, on Saturday, February 16, from 4-8 p.m. She will be laid to rest in the spring, in her home state of Massachusetts. Condolences and a video tribute may be found online at www.albert-burpee.com. Goodnight, God bless you, we love you, sweet dreams.